Okay, let's start with the obvious comparison. This is World War Z, but instead of zombies, people are attacked by insomnia. It's World War Zzzzz. 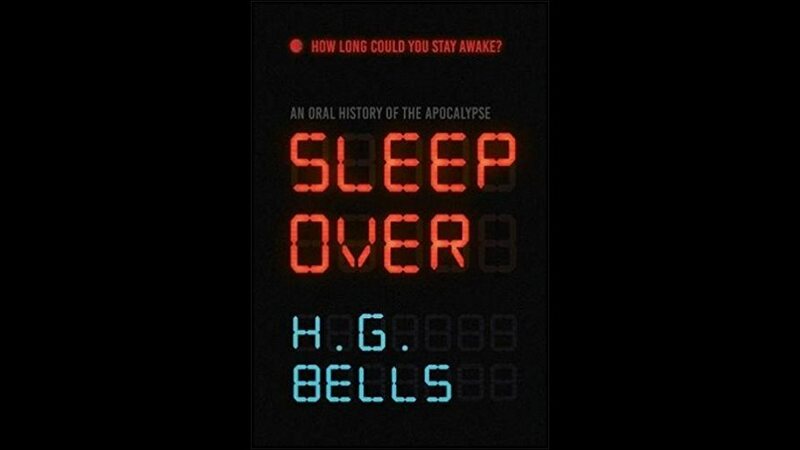 The book tells the tale of a future period of time during which people suddenly find themselves unable to sleep. Given how important sleep is, after a couple of days without it, everyone goes freakin' nuts. Literally everyone. Seven billion people. Which allows this book to tell a collection of stories about the collapse and rebuilding of society, and the horrors people go through in order to survive a world falling apart. It follows the form of World War Z pretty closely, with stories that cover the entire planet, visiting multiple places and people, but only the once. The chapters run a range of lengths, interspersed with various bits of future graffiti, and feature paramedics, death cults, air traffic controllers and monks. "I didn't stop being glad until they lit the blowtorch." Telling you, that chapter is an impressive one. That's one of the blunter examples, but there are some nice subtle moments, which were creepy enough to give me a few sleepless nights. The way people react varies, from the Starers, to the Dreamers, to the people who throw themselves off things, without really realising they're doing it. The author is a big net fan, which shows in the style of several of the chapters. There's gamification, doxxing and a certain amount of 4chan >implying. I feel a bit ashamed to be enjoying something this nerdy, but I can't really pretend to be any cooler than I actually am. I got those references. Dashed through this, as the plot raced along, keeping me awake. Could be a sleeper hit.